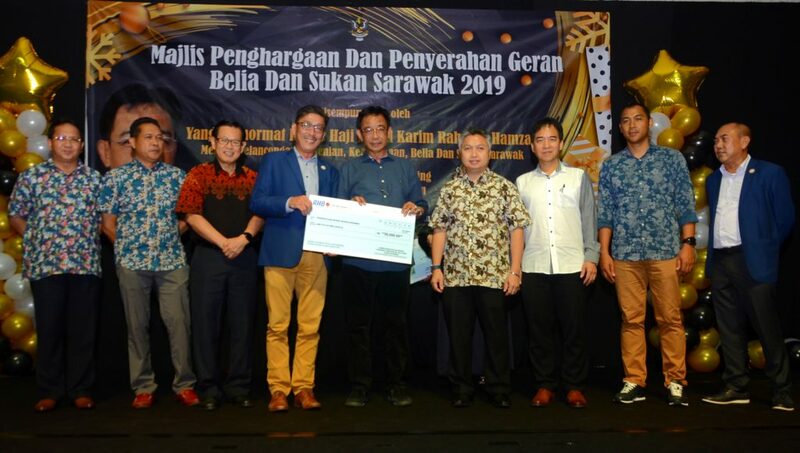 KUCHING: Sarawak will continue to fund and support youth and sports NGOs that are proactive and contribute towards its goal of becoming a sporting powerhouse. Today the government delivered its yearly funding to 39 sports and eight youth NGOs that have been identified and recognised as parent bodies in their respective fields. Grants totalling RM894,000 were distributed to the 47 organisations at a dinner organized by the Tourism, Arts, Culture, Youth and Sports Ministry here. Its minister Datuk Abdul Karim Rahman Hamzah mentioned that the funds were part of this year’s RM53mil budget allocated to his ministry by the Sarawak government. Abdul Karim was thankful for the support given to the ministry by the associations and congratulated them on being shortlisted as yearly recipients of the grants. The grants given are based on year end reports furnished by the identified parent bodies that have a track record of being consistent in their activities and the allocation helps these associations plan their yearly activities in advance. “My ministry has five main functions and all of them involve the youths heavily and what we want is to allow the youths the space and platforms for them to express themselves in their desired forms, be it in sports, arts or culture. We encourage these associations particularly because they are giving a voice to the youths of Sarawak,” said Abdul Karim. The minister went on to explain the need for Sarawak to take advantage of the marrying of tourism with sports and the current administration’s push to hold more internationally-recognised events locally. Sports tourism events this year include the badminton Masters, tenpin bowling, biking, tennis, golf and the athletics Masters at the end of the year. All the events are seen as huge tourism draws and also an opportunity for local athletes both amateur and professional to compete on home-ground with internationally-acclaimed and accomplished competitors. “With all the exposure to high levels of competition, we also want to make Sarawak a powerhouse in sports and I sincerely hope that our efforts to bring in all these events will help spur our push effectively, and positively impact our local athletes,” said Abdul Karim. Also present at the function was Tourism, Arts and Culture Assistant Minister Datuk Lee Kim Shin, Youth and Sports Assistant Minister Datuk Snowdan Lawan, Ministry Permanent Secretary Hii Chang Kee and Sarawak Sports Corporation CEO and State Sports Council director Dr Ong Kong Swee. Youth, sports NGOs assured of state’s support 0 out of 5 based on 0 ratings. 0 user reviews.